Why Do Dogs Like Squeaky Toys? We Have 4 Theories! Royal Canin vs Blue Buffalo - Which is Better? Can You Use Regular Shampoo on Dogs? What's The Best No Pull Dog Harness for 2019? 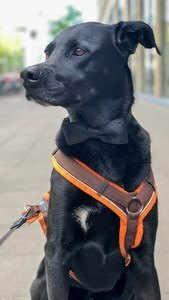 / What’s The Best No Pull Dog Harness for 2019? 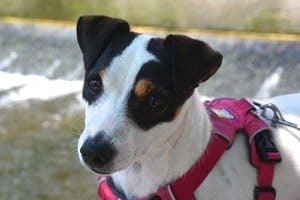 What’s The Best No Pull Dog Harness for 2019? What is a No-Pull Harness? Getting a harness is probably the best thing for your pet, especially if your dog doesn’t like the uncomfortable feeling of being on a leash. Some breeds just don’t like walking or don’t know how to behave with a leash around their neck. 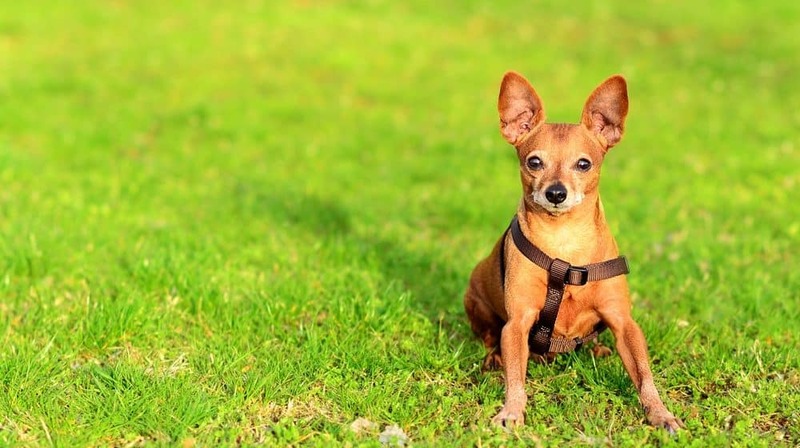 In addition, some have a tendency to pull on their leash during walks, which can be troublesome and dangerous for you or the person walking your pooch. More importantly, if you continue to let your pet pull its leash and you follow them, then they will think that pulling is okay. 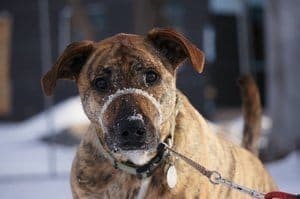 For these reasons, a great alternative would be a dog harness that stops pulling, which is made for those that are constantly pulling on their leash. Comfort is crucial since pets that pull on their leash end up irritating their skin at times. Always consider safety, such as reflective features, when looking through the various no-pull harnesses for canines on the market. If you aren’t sure about which product would fit your dog the best, I can help you decide. I did some research, tested the following products, and narrowed the choices down to the best no pull dog harness in 2019. The PowerLead is one of the easiest to put on and use in 2019. It’s made of durable nylon material that’s attractive and comfortable. There are two sizes to choose from; both are made for larger breeds. The no pull harness has a chest strap that you can adjust up or down a size, which is great if your pooch loses or gains some weight. The reason why most people like the PowerLead is because it doesn’t irritate their pet even after a few hours of pulling on a leash. The only set back is the fact that it doesn’t fit small breeds and the sizes overall run a bit big. Make sure to measure your pet precisely before you decide on a certain size. If your pooch likes outdoor activities but isn’t very well behaved on a leash, this might be the best choice for you. It’s great for all kinds of activities from walking, to running, and hiking. It’s fully adjustable and comes in various colors to match your dog’s personality, and available from sizes extra-small to XL (chest size: 13 -42 inches). The harness has an ergonomic design, and features a durable, scratch-resistant Oxford material, comfortable lightweight mesh lining with sponge padding around the chest and belly. Also, it securely fastens with a lightweight Draflex buckle. This combination provides comfort as well as longevity. To add to this product’s versatility, it has a front attachment, back attachment, and close-grip handle. So depending on your canine’s behavior or situation you’re in, it is easy to control your pet. The JUXZH has an outer nylon webbing and reflective material, to ensure your pet is safe and visible, especially at night. This product is heavy-duty, waterproof and durable. Its buckles and D-ring guarantee quality and safety even during moments of extreme pulling by your pup. 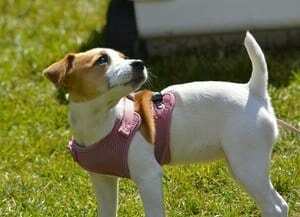 The chest and waist straps are adjustable so that you can find the best possible fit for your pooch. The handle on this no-pull harness is padded, which allows you to have better control and grip over your pet. What’s great about the Paw Five is that it has a waste bag dispenser built-in. Also, the velcro side patches are interchangeable, and you can personalize them. On the front, this no pull dog harness features a reflective strip for nighttime visibility. It might not be the best option for smaller breeds since the Paw Five can be quite heavy. The Friends Forever is ideal to help prevent irritation if your pet is pulling on its leash. This product is lightweight and soft padding, so your dog’s skin is safe from irritation even after a long time of wearing it outside. The straps on this are adjustable, allowing you to find the best, secure fit for your pet. Also, the handle on this product gives you the ultimate control over your pet during your walks. The buckles and the D-ring for a leash attachment are heavy-duty and durable. This product features 3M material that’s reflective to keep your pooch safe and visible during nighttime walks. There are two sizes to choose from, in which both are for large canines. The My Busy Dog is one of the most comfortable no pull harnesses on the market. It features wide straps made out of mesh fabric to ensure ultimate comfort for your pet. You won’t have to always readjust it since it features metal clips that keep everything in place. Plus, the product features an extra buckle, which allows you to put it on and pull it off easily while keeping the adjusted size in place. This product is easy to put on by just slipping it over your pup’s head. Secure it on both sides, and that’s all. To pull it off, simply release the buckles. To prevent pulling, use the front leash attachment made of aluminum. The belt is reinforced with nylon webbing, with a sponge interior. Also, it’s reflective which means you can safely enjoy outdoor activities with your pup, even when it’s dark. Some people say that this product runs a bit big, but you can find the right fit by adjusting the straps. Even though it’s similar to other quality standard harnesses, a no pull harness is made especially for canines that pull on a leash, especially when you’re dealing with a large or strong one. There are many different types you can choose from based on their breed, size, and weight. Overall, if your pup often pulls on a leash, making walks uncomfortable, then the right no pull harness can help prevent that. These types of harnesses are a great alternative to training tools that cause pain since pain usually results in acts of aggression such as biting. 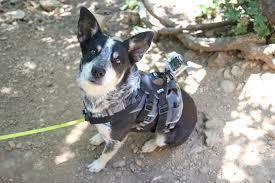 Also, having a traditional harness may cause your dog to be afraid of you. But keep in mind, this specific strap is to assist in training canines to not pull, and not an actual replacement for training. These aren’t as great to use on for canines that like to pull on a leash since it can encourage it to do so. You can use it if your pet has suffered neck trauma or is recovering from an operation and you need to take the pressure off of their collar area. You can find a rear attachment on many harnesses, even on ones for running. This type of strap is designed strictly for walking. Many straps like ones for hiking, feature a front attachment. It’s best for walking and hiking because when your canine pulls on its leash, the leash turns he or she towards you, making it impossible for it to move on. After reading some reviews and debate with other pet owners, some actually do not prefer any pull harnesses. However, I feel like they are effective in preventing from pulling on their leash. Head harnesses, or collars, fit around your dog’s head and have an attachment for the leash under the chin area. So when the hound pulls, the head harness forces the hound to turn its head and it will eventually stop. Furthermore, head harnesses teach our pets to stop pulling. But before anything else, you also want to make sure you learn how to put these harnesses on, and more importantly, be patient with your pooch as it gets used to wearing a head harness. So if you’re tired of your pooch always pulling on its leash while you walk, then hopefully one of the reviews of the aforementioned no pull harnesses helped you make a decision. Consider all the important factors and then think about whether you want a no pull harness for walking or running. How Tight Should a Dog’s Collar Be to Fit Properly? When I'm not working, you can find me spending all my time with my dogs.My dogs mean the world to me, and I do my best to give them the world. I'll do anything for them. I hope that my love for dogs can spread with everyone else that visits my site. Copyright text 2019 by Puppy Pointers.